Our students are tested out! 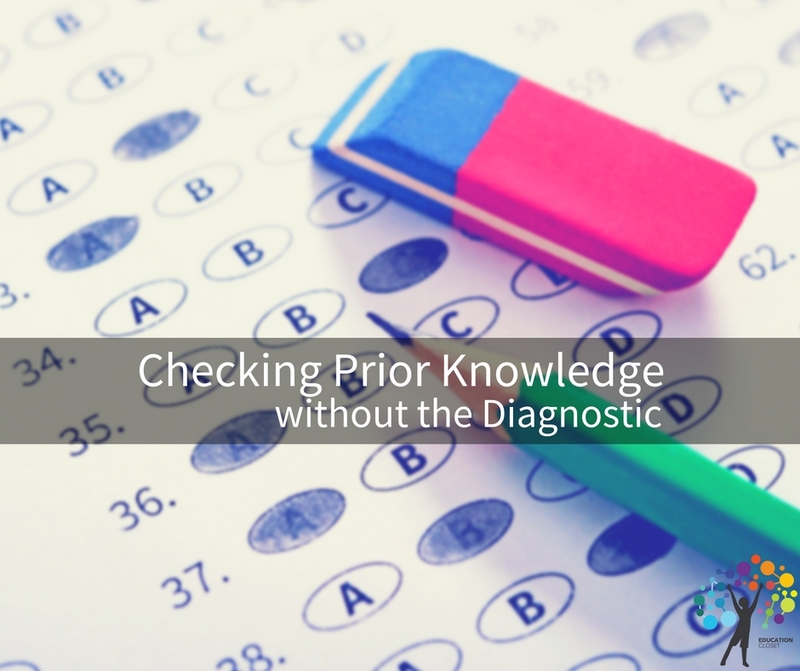 We know this, in fact we often scoff at more testing, yet we are so quick to use a traditional paper/pencil styled diagnostic test to check our students’ prior knowledge, What if there were a way to give a diagnostic pre-test… without the test? As a nation, we are constantly testing our students to ensure they are learning. It is meant to hold the system accountable for providing high-quality education, and offer measurable evidence of learning. We all understand the purpose, and I am sure none of us will disagree that there needs to be some sort of measurement of student learning, but is a multiple choice diagnostic test the only way to do it? When it comes to both checking for prior knowledge and evidence of learning we need to have students create, design, and perform, not just regurgitate. Instead of just checking to see what students remember, check to see what students can do with the information they remember. Two Truths and a Lie is a game most often used for introductions, but it’s also a perfect game for content review, and it’s adaptable to any topic. Ask each student to make three statements about your content/topic: two statements that are true and one that’s a lie. Moving around the room, give each student a chance to make their statements and a chance to identify lies. Use both right and wrong answers as inspiration for discussion. Separate the class into teams and keep score on the board. Go around the room twice if you need to in order to cover all the material. Focus on the responses by giving students categories or specific topics they must create three statements for. Have examples of your own to ensure that everything you want to review gets mentioned. Brainstorm Race is a good game for several teams of four or five students. Give each team a way to record answers, whether they use a flip chart, whiteboard, windows, sticky notes, etc. Announce a topic and allow the teams 30 seconds to write down as many ideas concerning the topic as they can come up with…without speaking! Compare lists. The team with the most ideas wins a point. Depending on your setting, you can review each topic immediately and then go on to the next topic, or play the entire game and recap afterward. Create teams of 3-4 people and 3 index cards. Have each team write a review question and answer on each card that would diagnostic test the class’s knowledge of the topics they should know. You can organize this, however, it is best for your class i.e. categories, specific topics, etc. Collect the cards and toss a ball randomly to ask a question. The person who catches the ball may answer the question, confer with the team, or toss the ball to someone else. Once the question has been answered correctly, the person who has the ball tosses it to someone else and the process continues until all the questions have been answered. Take several words or topics from your units and write each one in the middle of a piece of chart paper. Spread the chart papers around the room (wall, desks or floor). Give each student or group of students a marker (different colors if you can). Each student/group starts with one chart paper. When you say “go” they have to start writing down everything they know/can remember about the word or topic. Use a timer, and call “switch” after whatever interval you decide to use (30 sec., 1 min., 2 min. etc). At “switch” they must rotate to the next paper. When all students/groups have written on each paper, collect them. One at a time, put them up on the board, as a class read through what has been written, and correct any inaccurate information or mention any important information that has been missed. After you have reviewed prior knowledge and students are back into the swing of things (we all know that a summer break resets their brains) have them use their prior knowledge to create or design something individually. Determine ways students can transfer their knowledge into a concrete product. Plan the product by considering: if students know this information what can they do with it. It is difficult to truly assess knowledge if students are merely recalling information, so find ways for them to transfer the knowledge and apply it in various ways. Starting the year with a project, product or performance will not only allow the teacher to check for prior knowledge but also allows students to demonstrate their knowledge in a tangible way and builds excitement for the upcoming year. Get access to The Teacher Locker with a plethora of downloadable resources that you can use in your classroom immediately. Our most recent Teacher Locker Series covered curriculum, buzzwords, secrets & lies, student ownership, grading options, and first days of school. Get access to all of these resources today!